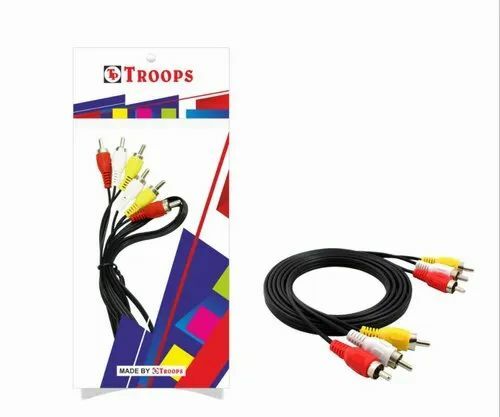 It offers you a convenient way to connect your VCR, DVD, HD-TV, and all other home theatre equipment for a more enjoyable audio and video experience. Its Silver-plated connectors are for improved audio or video signal transfer and less signal interference. RCA is a great alternative for audio or video applications where newer connection types are not available. Established in the year 2002 at Mumbai, Maharashtra, we “H.K. Electronics” have started the business as a Sole Proprietorship (Individual) based firm. Ever since the establishment, our company has indulged all its endeavors towards the manufacturing of a wide range of USB Cable, Mobile Charger, Audio Cable, Power Bank, Mobile Stand, Micro USB Charging Cable, Mobile OTG, Music MP3 Player, Smartphone Battery and many more. These products are precisely manufactured by our dedicated professionals, using qualitative raw material and advanced technology. With the incorporation of advanced techniques, we have been able to stay in tune with the rising challenges of the industry.